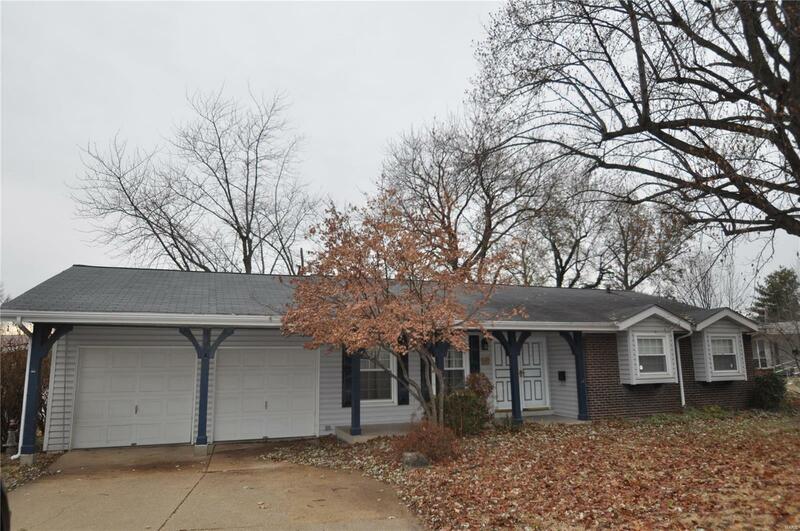 3 bedroom 3 full bathroom ranch style home with attached 2 car garage, finished basement with huge recreation/family room, 4th possible bedroom or office/den, and 3rd full bathroom in lower level. The home has thermal windows, enclosed soffits and fascia, brick and vinyl siding, and a large enclosed sun room addition on the back of the home. The large living room has wood floors, open kitchen area with appliances to stay. The main floor family room has a wood burning fireplace. Master bedroom has large closet and full bathroom with the interior of shower newly updated. Neat and clean full bathroom in the hall, and nicely sized 2nd and 3rd bedrooms. White 6 panel doors throughout. The sun room addition has a tile floor and its own supplemental heat and air. The lower level adds tons of extra living space with a huge recreation/family room area, bonus room, bathroom, and storage area. New Double Doors at front entryway, new double doors leading to rear sun room. New microwave. Elementary School: Halls Ferry Elem.